I’ve been seeing lots of Valentine’s Day themed tutorials on my Pinterest travels and on the Sew-spiration link party, so it’s no surprise that the most popular tutorial for this week has a Valentine’s theme! 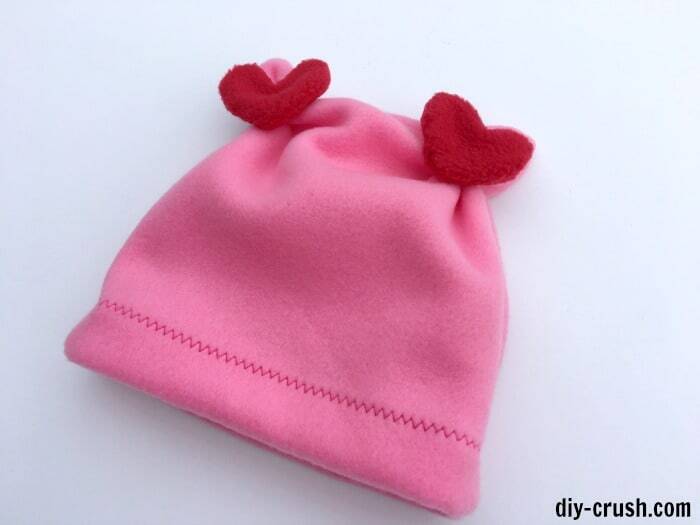 Denise from DIY-Crush has created this gorgeous Valentine’s hat tutorial and it comes with PDF templates to make it super easy for you. The PDF hat template starts as small as a newborn size and goes up to a size 12 girls. Check it out! Thanks again for all those who linked up their tutorials and for everyone who voted as well. I love seeing all these great tutorials! I hope to see you all again at the next link party!